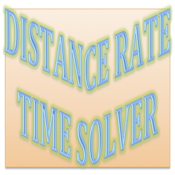 Distance Rate Time problems are the classic math problems that are often challenging for people. Use this app to create a visual representation of the problem you are trying to solve. The app has two different activities. 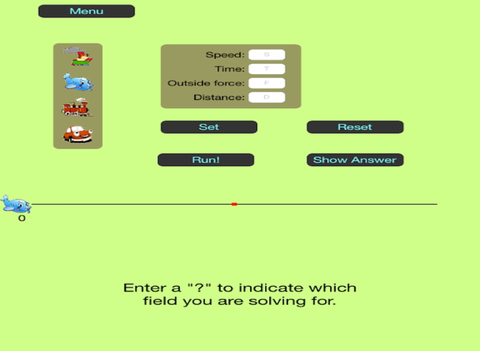 First, the app will give you a problem for you to represent and then solve. Second, you can use it in "Explorer" mode and use it to visually represent any DRT problem. Sometimes, seeing how the trains, planes, boats, or cars are moving can help you think about the math in the problem. This app helps you do that!